Priory Studio01263 715779work01603 870304fax Self-cateringA delightful studio situated on the popular Weybourne Hall Park. An ideal retreat for a getaway on the North Norfolk Coast with plenty to see and do in the area. Priory Studio offers weekly bookings starting on Saturday. A delightful studio situated on the popular Weybourne Hall Park. 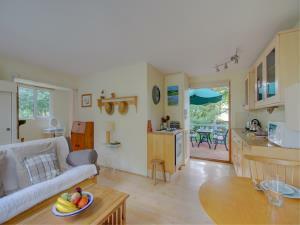 An ideal retreat for a getaway on the North Norfolk Coast with plenty to see and do in the area.